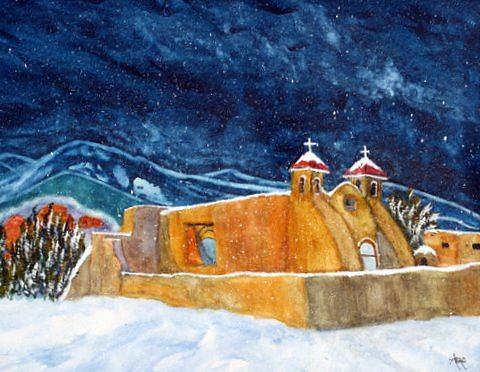 Ranchos De Taos Church is a painting by Abad Sandoval which was uploaded on January 14th, 2010. Framed picture is 16 inches wide by 13 inches high. Beautiful color contrast, Abad! I love it! Thanks for your comments on my "Living on the Water" and "Guatemala Impression III"!